Save Outside the Box has been in existence for over a year now as of October 11th! Can you believe it? I can’t thank you beautiful readers enough. I love hearing from you with sweet comments and killer questions. Don’t ever be afraid to hit the contact button and say hello. All these things have happened with one goal in mind: To live a better life through learning how to handle our money well together. There’s one thing I’ve learned over the last few years that has been really helpful to my growth and development as a person. Community matters. 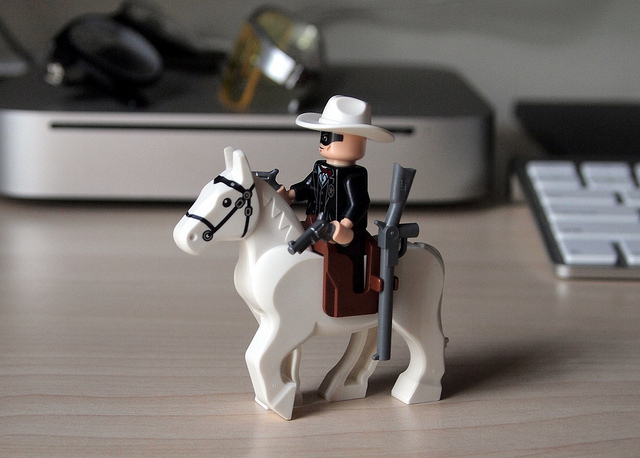 It’s hard to be great about saving money if you’re trying to be the Lone Ranger. Hanging out with like-minded folks that give you encouragement and advice can be a real boost to your bottom line. That’s one of those intangibles that can make the difference between success and failure. So seriously, thanks for becoming a part of my community. Speaking of which, I head out to FinCon, a conference for financial bloggers, tomorrow morning to meet some of the other great folks doing amazing work in the field of financial blogging. These folks are a great community and I’ve already found a little home among them in these last twelve months. Thanks guys and gals. See you tomorrow! By the way, because of you awesome readers I am a finalist for the Plutus Award for Blog of the Year. Once again I’m honored at your support and willingness to vote for me. Thank you very much. I’ll let you know on twitter how that goes right away. Because it is my Blogiversary I figured I would find a way to give something back to the folks that make the whole thing tick. YOU! So, my friends over at Chippmunk have graciously offered to give away $50 of their money today. Chippmunk is actually coming up on their one year anniversary as well. They, like me, are all about the deals. They’re a coupon code website that is actually focused around you, the customer. Everything they are working on is with that sole focus in mind. So, stop googling for coupon codes and check out Chippmunk. It’ll make your deal-searching life that much easier. By the way, their Halloween deals section is rock solid. So if you haven’t gotten your costume yet head over there. The giveaway is this: A $50 gift card to any store that Chippmunk has a relationship with. There are a lot of them. You can choose from Amazon, Target, Soap, Gap along with a ridiculous amount of others. Check out their site for your fave. All you have to do is comment below stating the best piece of financial advice you’ve read or heard all year. Maybe we’ll all learn something! I’ll choose one random winner on Wednesday of next week. PS: It’s kind of my anniversary month here. Here’s a shout out to my beautiful wife who faithfully reads and edits my posts. It’s our 3 year anniversary TODAY! It’s also my beautiful little baby girl’s 3 month anniversary. My life is full and so is my wallet. It’s a beautiful thing. Now comment below with the most important piece of financial advice you’ve received this past year for a chance to win $50 courtesy of Chippmunk! From your boss: Don’t sign any cell phone service contracts any longer. Those days of indentured servitude are over. Learned to change my own brake pads this year. For all the brakes on my car, the cost at the dealership was almost $800. Buying the pads, rotors, and some tools only cost me $200…saving me a total of $600. The job took about 3-4 hours, which seems like a lot but I see it as earning $150-$200 per hour for that time. Now I can also help save my friends and family money too buy helping with their brakes! Well done Shaun. That is honestly probably the biggest car money saver of all time. Changing your own oil doesn’t save a whole lot but changing your own brakes, as you’ve noted, can save a ton of money. Good job! Built a media server that is based at my main tv to run the house. Record shows off bunny ears and from play later onto it. Cant miss show (Walking Dead and SOA) i have my brother DVR and go to his house. That’s saving you big money every month Kyle. I might have borrowed my sister’s cable login the other day to watch some NLDS action. I love that you go to your brother’s house to watch those shows! Not saying it happens but that logic can lead to espn via playon. I received this advice a while ago, but really learned the wisdom of it (the hard way, unfortunately) in the past month – have an emergency fund! Sorry you had to learn the hard was Colleen. I hope you are building that sucker up as I type this. Good luck to you! Yep. Great advice Richard. So many folks disregard that and have to try playing catch up later on in life. I’ve been unemployed/underemployed for over a year. I kept telling myself I’ll start saving again when…which didn’t seem to be happening. I started just tucking away a little bit by bit and now I actually have enough for a big upcoming home expense. You can’t say it enough – JUST START!!!! Right on Jill! That’s so cool. The tortoise truly does win the race. You just gotta start! A little bit of money socked away every month over time truly does grow. Hah. That’s messed up Kerry. My style is impeccable! Jk. That’s a wonderful thing to learn. The series on becoming a landlord was fascinating to me. My wife and I have a fire year plan to own a rental property and the advice was spot on. Especially start saving early and often for the down payment. Thanks dude. Hey, if you ever have any questions about the subject I’m happy to answer them. I’m really digging the landlord thing. It’s been well worth the sacrifice. We cut the cable bill for Amazon Prime and Netflix! Way to go Shannon. That’s what I do and it’s working out great for me. I hope you are enjoying that extra money in your bank account every month! The best financial advice I have received this year is to only eat out if we have a coupon. This cuts down on the bill when we do eat out, and we tend to eat out less because we often would rather eat at home than the places we have coupons. Happy blog and wedding anniversary! I really enjoy reading your posts. Thanks Bethany! I’m with you on only eating out with a coupon. Scoutmob, Loaf deals, and Open Table make that easy. We get to eat at some great places thanks to those sites. Spend less than you make! Best advice ever…..
It’s pretty dang hard to beat that one. That’s the meat and potatoes. Thanks Paul. Taking advantage of automatic deposits of your paycheck. I am a horrible saver but finally found a way to keep my hands off my savings. I opened a savings account at a local credit union, I have money automatically deposited from my paycheck and I did not get an ATM card. No matter how tight things become before the next payday, I have been able to stay away from it. It is very rewarding to watch it grow. Way to go Jessica! Great discipline. 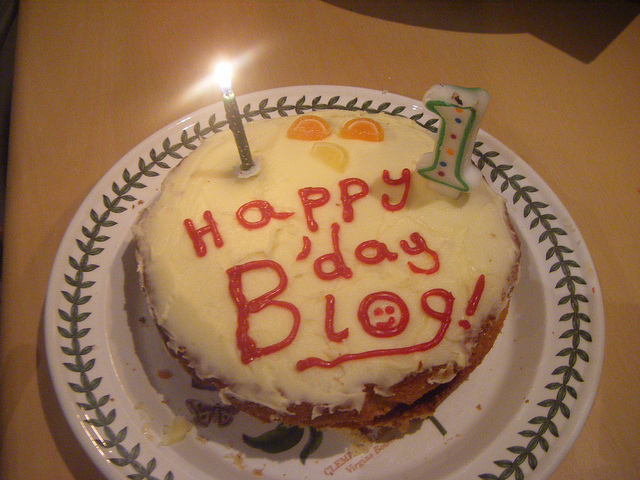 Congratulations on your one year anniversary for your blog! Even more importantly, congratulations on your three year anniversary with your bride! A long term marriage is the best status symbol you can have in America. Keep it up! And, certainly, congratulations to little Selma on her three month anniversary! Congratulations, my friend. Onward and upward toward the next anniversary! While the best advice this year wasn’t necessarily new or something I did not know, the government furlough reinforced the idea of the need for an emergency fund. In fact, I am re-evaluating the amount to maintain in my own. Thanks James! Sometimes the best learning comes through necessity. You going to be getting back to work soon? Yep, back to work already. Hopefully it is not something we will have to go through again in a few months! Appreciated the blog about doing your own pest control. I fired my exterminator and have been doing my own pest control since. Thanks for the great advice. No prob Dave! I’m so glad it helped. That has saved me a lot of money this year too. You can’t measure what you don’t track so start tracking, and then start measuring. Much easier to demonstrate progress that way. I track via Mint.com. Tracking really does help. Looking at your progress (or lack thereof) can be a really motivating thing. Thanks slug! Use the GasBuddy App to make sure you are getting the best price for gas. That’s a great money saving tip M.
Congratulations on your anniversary! I think the best financial advice I can give others is to be mindful of your money. We frequently make financial choices without much thought. Once you start focusing on your spending and saving, you start to see progress and make change. Thanks Shannon! I totally agree. Actually focusing on that issue as opposed to doing things the way you’ve always done them is key. Find a system that works for you (and your spouse). I’m a saver, my spouse a spender. I love budgets, he feels constricted by them. So, after 9 months of struggling to make my OCD budget work, we are now going to something more flexible but sounds effective – something we can both work within and feel good about it. Relationship changing. Great tip Megan! It can be hard for two people with two totally different backgrounds to come together and handle money well as a couple. Flexibility, forgiveness, and a workable system are key to making sure your marriage isn’t harmed because of bad (or just different) money choices. Joel, Thanks so much for your blog. As soon as Clark mentioned that you had one, I immediately signed up! You have so much great advice, but what sticks out in my mind right now is the series you did on rental property. I own a house my college kids live in and expect to rent it out after they move on, but I’ve been very hesitant about the process. You helped with the guidelines you gave and when the time comes, I’ll be looking back through you blog for assistance! I look forward to many more money tips. Thanks so much and blessings going forward. Awww, thanks Gina! I’ve had a great time with my rental property. It’s definitely been worth the sacrifice and work. I hope for the same for you. Just remember, a good tenant is 80% of the battle. Coming from an Economics background, I would definitely say that doing a Cost-Benefit analysis is the most efficient way for me. Just weigh the benefit you would receive, short and long term, against the cost of the item. Helps put things into perspective! No doubt. Most of us skip that step and just buy or jump in. I like your thoughtfulness Dustin. And YES, Go Braves! 2014 will be our year. Its a very obvious one, but it’s one we haven’t taken as seriously until recently. Build up your IRA while you are young. The money that we no longer need to put towards our HSA for the year, we now put towards our IRAs. It would be nice to have the extra cash, but we don’t really notice it because it was already allocated for another budget item. Loved being a part of your special day 3 years ago! Happy Anniversary! Love it Jen. Start investing young. It makes a HUGE difference 30-40 years down the road for you. I’m so glad you were a part of our awesomely special day too! Most important piece of financial advice I’ve receied this year? Make sure to cut back on regular recurring expenses wherever you can, because they add up to big money over time. Cut the cable bill, cut the phone bill, cut your wireless bill, etc. Thanks Peter! Those recurring expenses are SO important to pare down. Monthlies can make or break you. A few hundred bucks saved every month by going super minimal on those can change your financial future! The best piece of advice that was given to me is that you can only cut so much. Saving money is great, but there comes a certain point where your effort is better spent on making more money. If it takes you an hour to save $5 but you could make $30 with that same hour then your hour is better spent making money. Great point Noel! Some frugal folks forget that their time can often be better spent bringing home more bacon as opposed to just trying to save little bits here and there. The best piece of financial advice that I’ve received this year is to cancel our satellite TV and switch to OTA channels and streaming. Not only has it saved us a ton of money but it has also improved our lives in general. I agree Adam. Cutting the cord not only helped my wallet but it helped my sanity. Who needs to watch that much TV anyways? The best financial advice I have received this year is to never miss out on a 401k match. I started contributing later than I should have because I didn’t know any better but now I’m rolling! Thanks for all your great advice and happy anniversary! YES! Free money! Don’t every let that sneak by you. I totally agree Emily. And thanks for your kind words! I had this great AHA moment about three weeks ago. I was feeling really down about turning 30 (gasp!) because I felt like I wasn’t where I want to be financially. I consider myself a very responsible person. We have IRAs, life insurance plans, wills, trusts, and a steady income, but I just could not get myself to save as much money as I’d like. I just didn’t have the passion for saving money that I wanted to have. I actually prayed about it, and asked God to show me a way that I would WANT to save money, instead of it just being another boring obligation. I read a financial book my mom had gotten from the library and it really set off a light bulb. It is easier to save a dollar that you have already earned than it is to go an earn another dollar. I had never, ever thought about it that way. I thought about the effort it takes to wake up and go to work, and it really stuck with me how much that stinks! It has really been an eye opener for me! I no longer think to myself, “Eh, I can just work a little extra to make up for it”. I realized that I don’t want to be making up for things I buy. I’d rather have the extra money AND the extra time in my pocket. I love it Jackie. Faith and finance certainly intertwine. I really appreciate your thoughts and your AHA moment. I’ll be turning 30 in February and I’ll let you know if I have any issues associated with it too! Consumer Reports ranked Ooma as the best phone service. I was curious, checked it out and switched. Wish I’d done it sooner. The selling point for me was keeping my current home number. Selling point for my wife was keeping 911 access. It has already paid for itself in just a few months. The only negative is that if the internet goes down, there is no service; however, with three cell phones in the house that will never be an issue for us. Well done Bill. And those monopoly cell phone companies cost an arm and a leg. You’re saving big money every month AND you are getting better service. Glad that is working out for you. I learned some awesome advise on becoming a landlord. Thanks again! No problem Ryan! Thanks for reading. check your bank statement regularly, i knew within the day that i had been billed for something i hadn’t ordered and was able to successfully dispute it. That’s great advice Beverly. Always check your statements. Some folks don’t and it can cost hundreds. I spent almost four days with you this past week and I never once congratulated you on your Blogiversary…My bad. Congrats man! It’s all good man. Thanks! 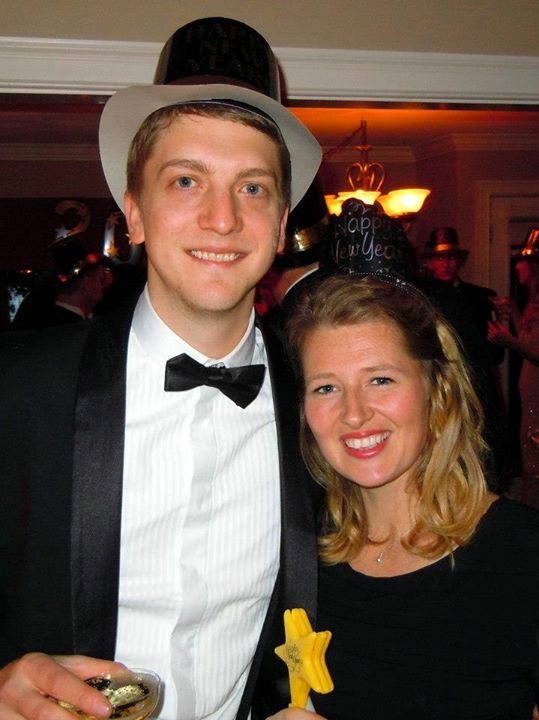 Happy Blogiversary Joel, your site is awesome! Hope you had a great time at Fincon too! Thanks Jim. It was a blast! Congrats! Impressive numbers, well done on year 1! “You are wasting your future on FEES!” Read “The Millionaire Teacher” and realized how much money I was flushing down the financial toilet (<- is there such a thing?) on my ridiculous front-loaded mutual funds and high fees. Transferred my entire Roth IRA over to Vanguard within a week after that. The future is now in my hands, and my money leak has been fixed. Yes! I love Vanguard. Way to go Jacob. I dig your style man! Sell old DVDs and CDs online by just entering UPC codes. Google it to find a few different companies. I’ve used http://www.selldvdsonline.com and have made over $500 total. They pay shipping. It’s easy. That is great advice Stacy. So many of us have a bunch of DVD’s we no longer use. Why not turn them into cash!! The most important advice I was given is if you have lived without it this long you can continue to do so, it stops me impulse purchasing. Great thought D. Thanks for adding that to the conversation.